In this topic we will see how to connect the Scriptcase production environment to SQLServer using the XAMPP pre-configured environment. Have access to SQLServer database. Have PHP configured to FreeTDS. Currently Scriptcase offers four drivers to with MSSQL Server database: MSSQL Server Native SRV, MSSQL Server Native SRV PDO, MSSQL Server ODBC and MSSQL Server. Currently Scriptcase offers two drivers to connect with MSSQL Server database: MSSQL Server ODBC e MSSQL Server. MSSQL Server Native SRV PDO ( Recommended ) : Allows the connection to be made, using the native driver for MSSQL Server for Windows. MSSQL Server Native SRV : Allows the connection to be made, using the native driver for MSSQL Server for Windows. MSSQL Server : Allows the connection to be made, using the native PHP driver for MSSQL Server. MSSQL Server ODBC : Allows the connection to be made using a MSSQL Server ODBC Data Source. MSSQL Server ( Recommended ): Allows the connection to be made, using the native PHP driver for MSSQL Server. 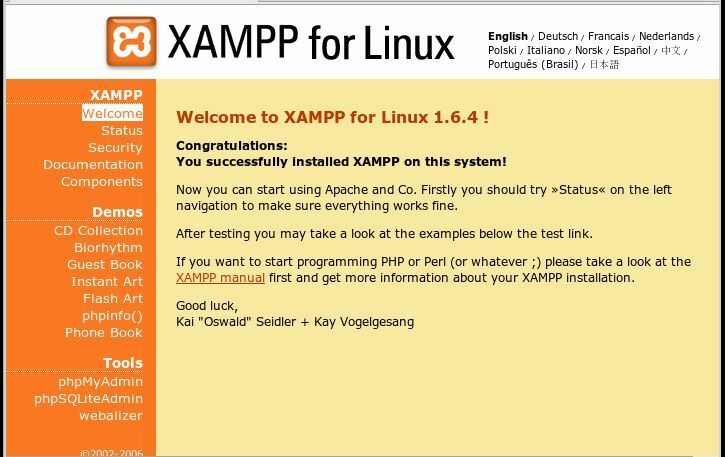 2.1 We have to make XAMPP an executable file ( command chmod -x ). Set up the permission for execution ( command chmod 777 ). And execute the file that was downloaded ( command ./). 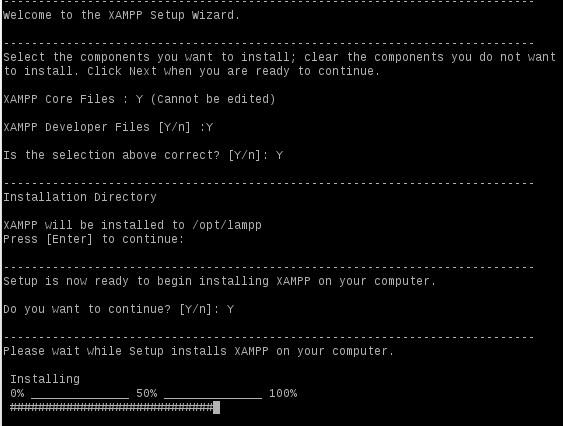 2.2 We will type 'Y' for all the options of the XAMPP installer. 2.5 Access the file info.php and check the settings of MS SQL module. 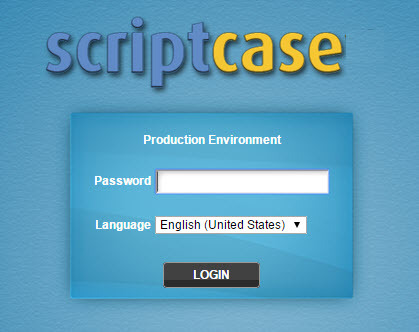 The production environment is a common function library used in applications generated by ScriptCase. It should be used and configured together with published systems.The production environment is a common function library used in applications generated by ScriptCase. It should be used and configured together with published systems. For more information about publication visit the topic Publication Scheme. 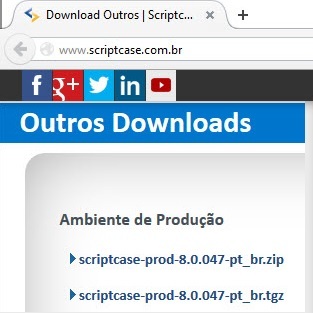 On the image below we will see the direct link for the production environment download. Copying and unzipping the ".zip" file in the root of the web server, originating to the production environment. 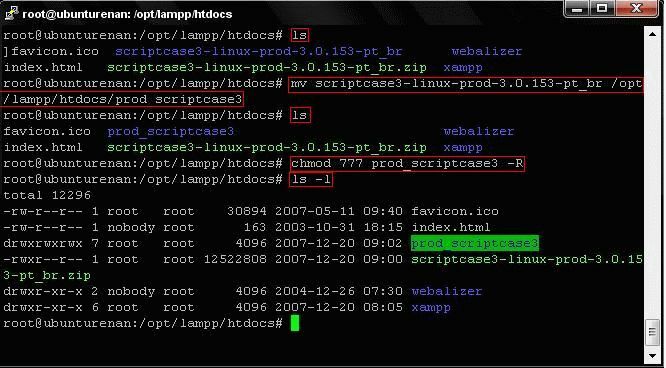 3.3 Renaming the directory to 'prod_scriptcase' and giving full permission for this directory. 4.1 FreeTDS It is a library that enables the connection to MS SQLServer from a Linux station. Inside the directory '/opt/lampp/etc' there is a file called 'freetds.conf', which is setting file of FreeTDS. The settings used in our case are highlighted. [SQLSERVER] --> This is the name that will refer to my dabatase server. host --> This is the IP of my database server. port --> This is the port where my database is installed. 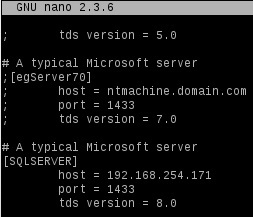 tds version --> This is my SQLServer version. Accessing the production environment with the default password 'scriptcase'. 5.2 Change the default password of the production environment. 5.3 Creating a new connection.